Hey everyone! I hope you’re all doing well. I’m back from a pretty big blogging break which I took mainly because I went on holiday for 2 weeks and since coming back, I haven’t had the motivation to create content on both my Instagram and blog. This happens quite often to me, so I just allow myself to take big or small breaks and then come back when the time is right. I’m not sure if I’ll be posting regularly on here, but I’m going to try and get back into things with my blog and Instagram as much as I can. Today, I’ll be sharing my thoughts on the brand Proto-col, who kindly got in touch with me a couple months ago to try out some of their products. They sent me such a generous package including some gorg mineral makeup bits, as well as a couple of skincare pieces. 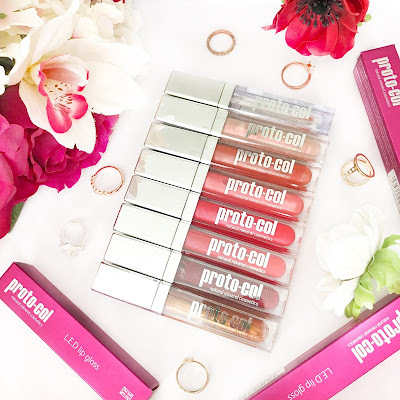 Proto-col is a British natural beauty and nutrition brand, which offers a range of products, from skincare, mineral cosmetics and nutritional supplements. They claim to use the finest ingredients to create luxury products which really make a difference, while using the highest quality ingredients and ensuring they are very affordable. If you want to check out the website for yourself, you can find it here, as well as their Instagram here. Big thank you to Proto-col for sending me over these goodies! Disclaimer: these products were gifted to me for reviewing purposes. All opinions are 100% my own. Starting off with makeup, I received some gorgeous mineral products. This mineral foundation is in the shade Dover, which is the lightest of their 3 shades and is perfect for my pale skin. The silver mirrored packaging is so stunning! I’ve been using this on top of my liquid foundations as a powder, to set my base, and it creates a lovely soft look, adding a bit of coverage but not making my skin look too powdery. 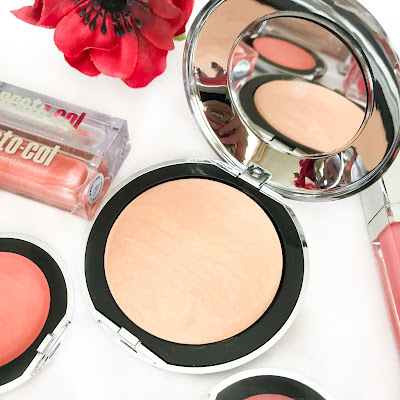 I’m a lover of cream blushes, especially in the summer time, as I think they create a lovely fresh colour and glow to the cheeks. I received these in the colours Apricot Cream and Pink Sorbet. I absolutely love these! Again, the packaging is a lovely silver mirrored look and they are so cute and compact, perfect for travelling with (I brought them both on holiday with me!). 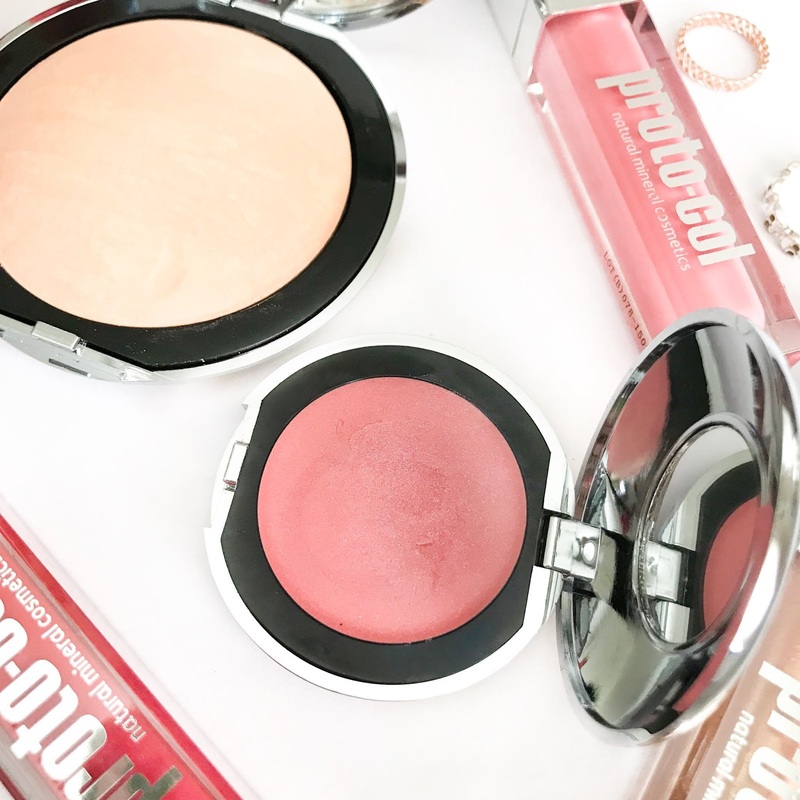 Although they’re a cream texture, they aren’t thick or sticky on the skin, as they actually blend in really quickly once applied to the cheeks and turn into a powder finish. The colours are absolutely stunning and perfect for every-day wear. (Shades from top to bottom: Crystal Clear, Coconut Ice, Pretty in Pink, Candy Floss, Pink Quartz, Abigail's Sparkle, Strawberry Crush, Copper Kiss). Anyone who knows me will know that I’m an absolute sucker for lip products: glosses, balms, stains, matte liquid lipsticks, I’m just obsessed with them all! Lip glosses are one of my favourite lip products however, as I love how quick and easy they are to apply and that they leave my lips feeling and looking smooth and gorgeous. I was actually so shocked when I first opened up one of these, as they have a little LED light inside the lid and a mirror on the side, making them perfect for applying no matter where you are. As you can see below, I received 8 gorgeous shades and I absolutely love them all, but my faves are probably Pretty in Pink and Candy Floss. The formula is perfect: they apply lovely and smooth and don’t feel sticky or tacky at all. They provide a nice amount of pigmentation, nothing too strong but still a lovely bit of colour, and they’re perfect for applying on top of other lipsticks. I’ve been loving using the Crystal Clear one on top of matte lipsticks to get rid of the dry/cracked lip look. 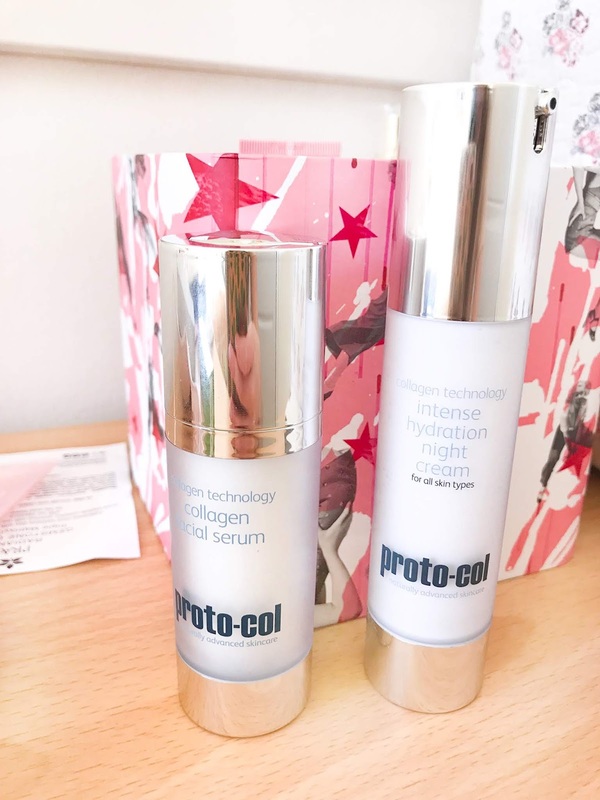 I also received 2 skincare bits from Proto-col, which are both from their Collagen Technology range: a Collagen Facial Serum and an Intense Hydration Night Cream. The Serum is formulated for mature skin and contains collagen, royal jelly and essential oils to nourish and protect, and maintain a youthful complexion. It is also completely paraben free. The Night Cream is again paraben free and contains collagen and silk-protein to combat the signs of ageing. 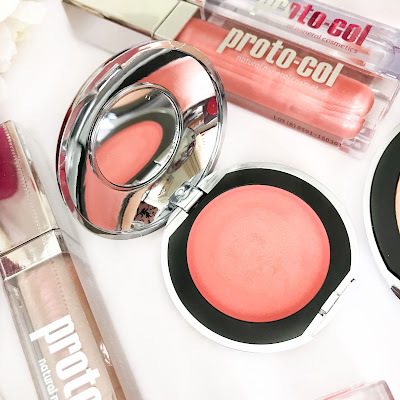 I have to be very careful with my skin as it is very oily and extremely acne-prone, so I tend to use products that I know are suitable for my skin, because new products can break me out very badly. Because of this, I only tried these 2 products once and only used them on my cheeks, as they are the least oily areas of my face and I very rarely get acne on them. I love the packaging of the serum, as you twist the lid to get the little pump to appear. It has quite a light texture but is still very hydrating and has a rose-like scent to it. The night cream is a lot more hydrating (as the name suggests), meaning it’s really not suitable for my super oily skin, but I have since given both of these to my mum as I know they will be much more suited to her skin, and she is loving them! If you have mature or just very dry skin, then these will be perfect for you. And there we have it! I hope you enjoyed this review and maybe found some new items you want to try! Thank you for reading. Their lip glosses look beautiful! Mineral makeup is unfortunately a no for me due to my dry skin, but that blush colour looks stunning! I'm loving that cream blush color. Gorgeous! I had never heard of that brand before. Same for mineral makeup. The products look fantastic, loving the packaging! The lipgloss though.. great review! Mineral make up is something which I still really need to try myself because I keep hearing such great things! Those lip shades are gorgeous and I'm loving the packaging too! I hope you had lovely two week holiday.